A Kent Design roundtable debated the impact of high speed rail on Kent and asked about priorities for the future. 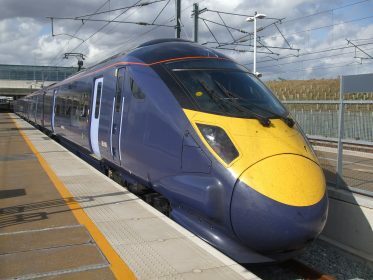 How could Kent capitalise on the benefits of a high speed rail service? Where were the weak spots in the county’s rail infrastructure, what are the opportunities and how can they be realised? Rob Jarman (Maidstone Borough Council) used Kent’s county town as an example. In his view, all rail infrastructure in Maidstone was “years behind”. South East Trains had prepared a scheme for Maidstone East but it was stalled – how could it be revived? This in turn posed a ‘chicken and egg’ question of whether in such instances development proposals needed to trigger infrastructure investment, or whether the infrastructure had to be the catalyst to regeneration. The answer seemed to be in nurturing an effective partnership between two local authorities, the operator and Network Rail, to pursue mutual interests and a comprehensive approach. Compulsory purchase was a valuable instrument for local authorities, but best kept as a last resort. At Ebbsfleet, the challenge of relocating and decking the vast car park was a formidable challenge to the development of a new town. The viability implications were a reminder that despite its connections, land values in most of Kent were still far below those of Greater London. It was thus important to generate value – creating what Graham Brown termed “headroom for quality”. Local authorities may not have an executive responsibility in such projects, but they had a critical and creative role in lifting the barriers to investment. John Worthington (Academy of Urbanism) agreed, adding that community groups and civic societies could also play a key part in the creative dialogue. The Local Enterprise Partnerships were proving a useful platform for such exchanges. Infrastructure investment needed to be supported by constant marketing, not just during the planning and construction phases but also post-construction. Hendrik Heyns (Allies and Morrison) used the example of HS1, and how awareness of the service – even amongst communities close to the line, such as Rochester – was surprisingly low. Frequency of services was as important as speed, and railway operators had to balance the number of stops with journey times and line capacity. There were signs of a cultural shift from cars to other forms of transport, amongst young people, the aspiration for car ownership had fallen from 48% in 2002 to 36% at the present time. Looking ahead, it was noted that Thameslink improvements into Blackfriars would help parts of Kent. There were challenges to HS1’s capacity, partly because of the heavy peaking of commuter services. Rolling stock was costly (£22m per train set), with procurement and delivery taking up to seven years. The obvious message was to plan well ahead. A transformation in the way people move to and from Kent, as well as within it, had implications for special planning and our changing towns. For commuters relocating from London, there was some evidence that they were not so much seeking a rural idyll as value for money in the property market, and that greater urban intensity would in fact be welcomed. There was therefore a need to recalibrate the model.